Gotta get all of the X-Mas nonsense – decorating, shopping, etc.. first – then my bulk sessions will start. Awesome sticker on the hood of that box. FGFF is a great site. 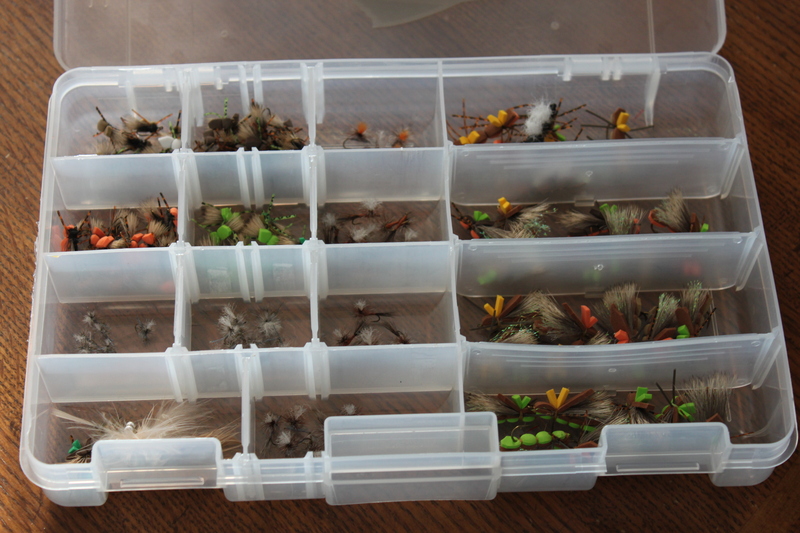 I know this is gonna make ya sad, but here in the Deep South there isn’t really a winter tying season. Well, I say that – as temps this week are forecast to remain in the low 40’s during the day and the mid-teens at night! That’s COLD for Georgia in December! 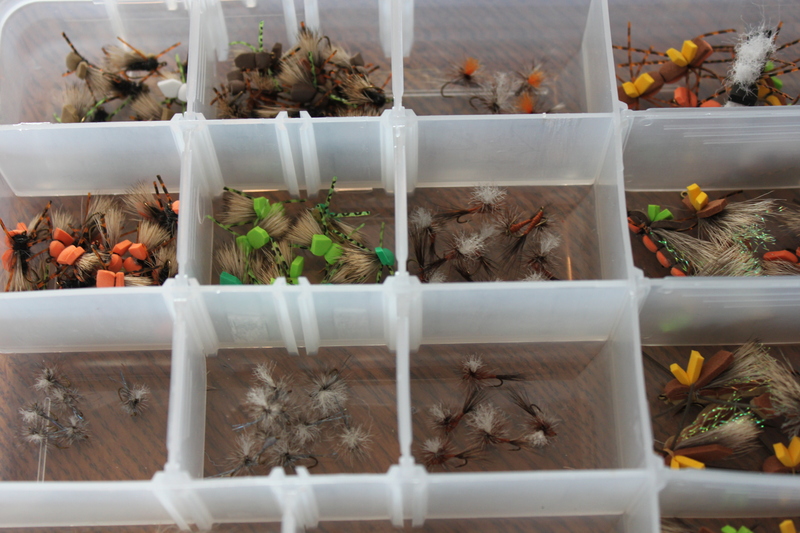 Right now I’m just tying for fun and turning out some #16 and #12 EHC’s, a fe eggs, and a spattering of soft-hackle like flies I call “YES” flies…”yellow emerger snatchers.” There’s some time to tie this week with the cold front chilling us to the bone…..but it’ll warm up a bit after that hopefully, and we’ll be back to throwing #18 BWO’s at rising fish before December is out. Mike – I hear you about the Christmas cheer. I spent one Saturday risking life and limb on a ladder instead of safely next to fish filled water. 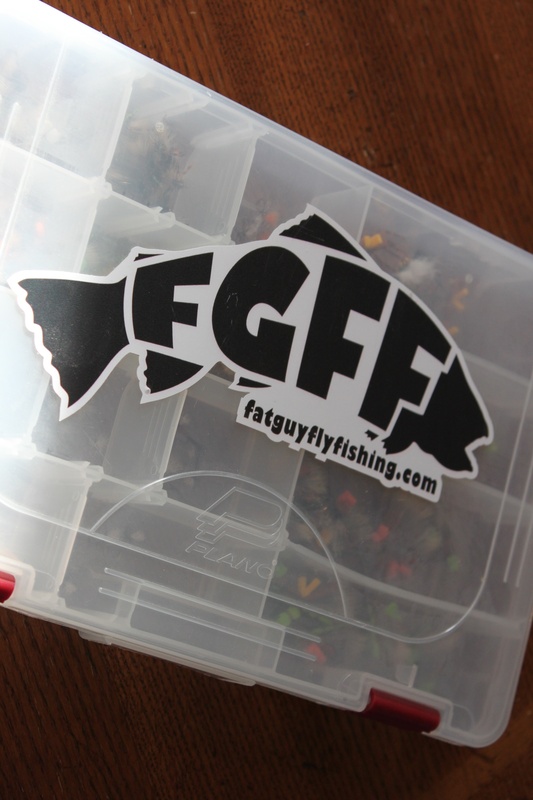 Look forward to hearing how your tying goes. Merry Christmas. Owl – Thanks for stopping by. I’ve enjoyed reading through you site and look forward to hearing more. We are kind of in the same boat here in AZ. The mountain streams can still be fished but are very slow and the lakes in the area will receive some more attention from me this winter. Thanks again for the kind words. Merry Christmas to you too.